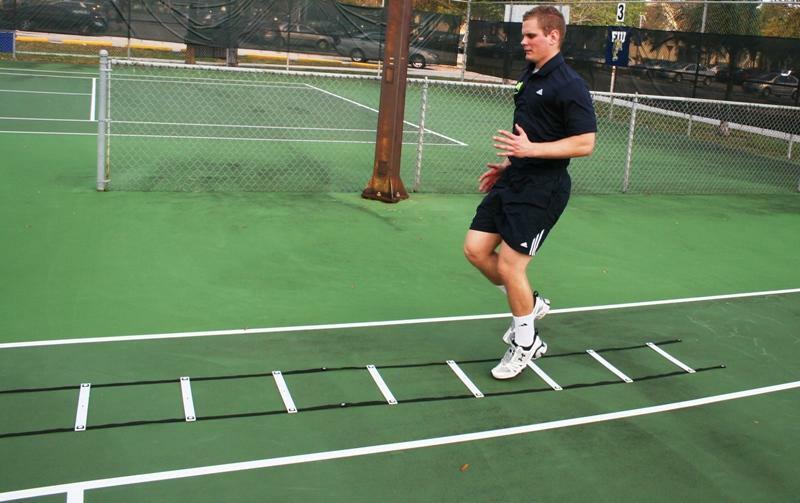 The athlete starts directly in front of the first rung of the ladder. 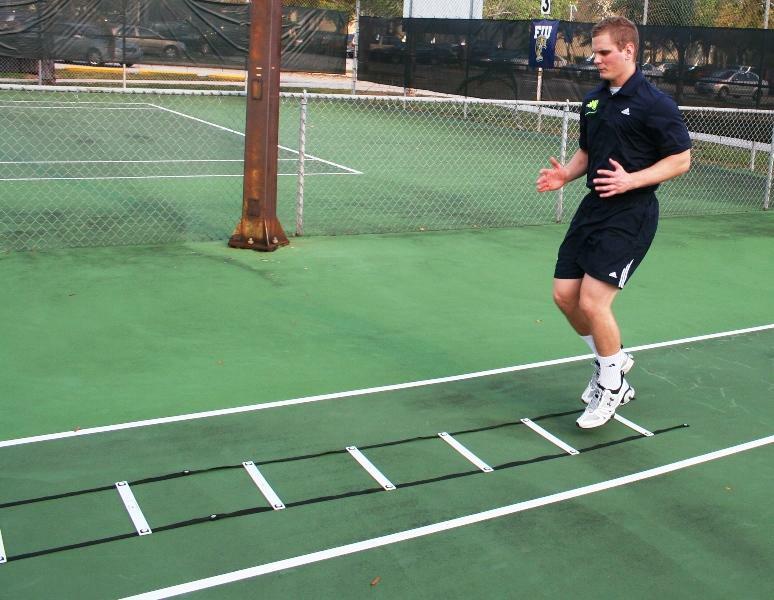 The object is to progress down the ladder in a rapid fashion without neglecting to synchronize upper body movement with the lower body. 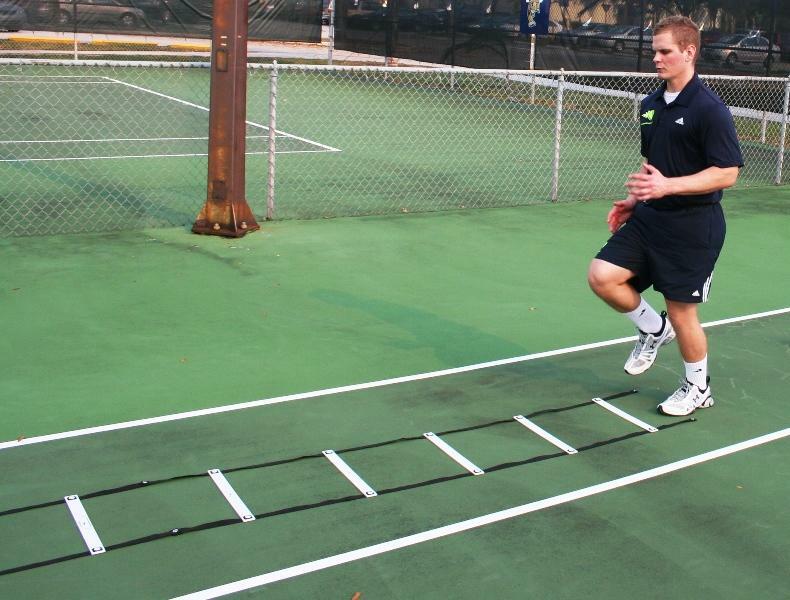 Make sure arm motion imitates that seen in proper running form. 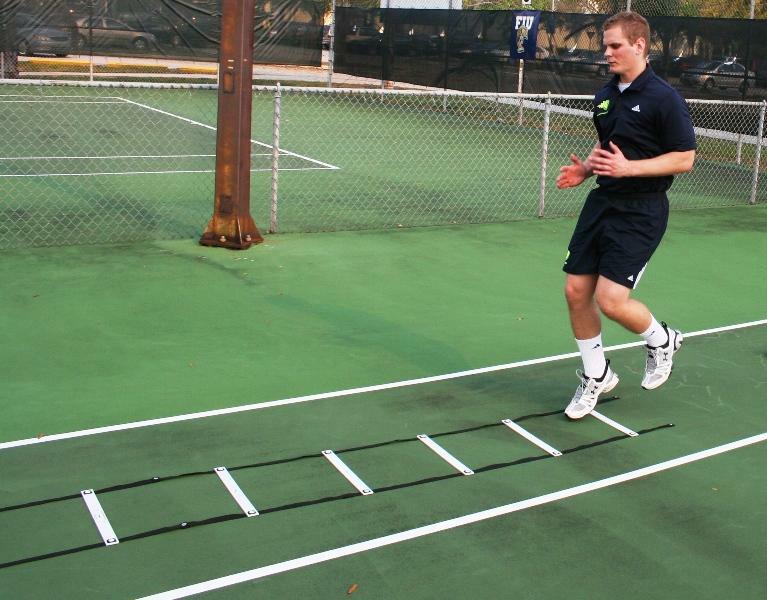 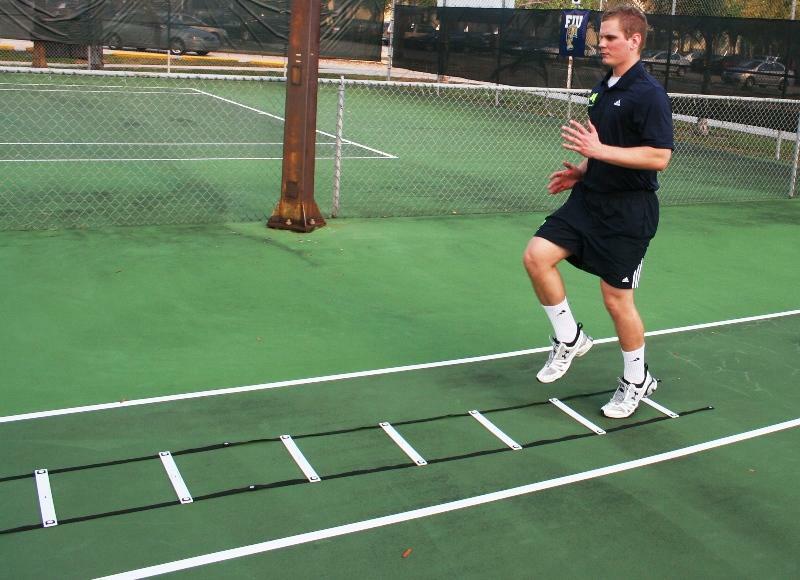 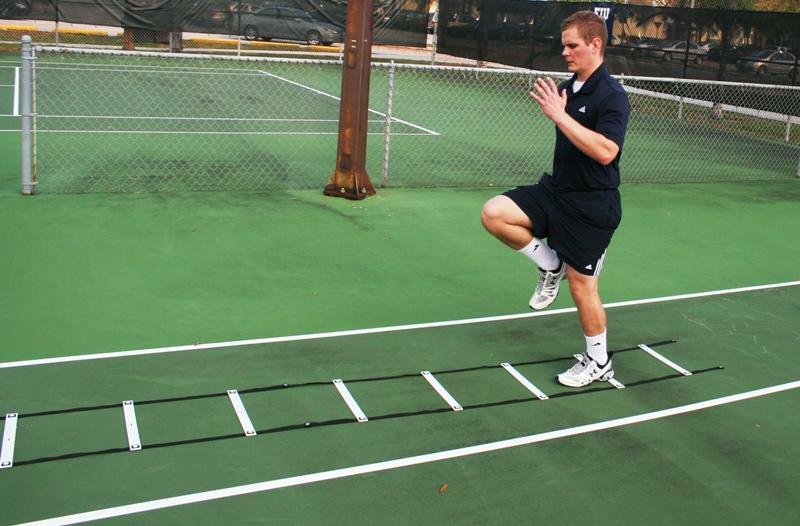 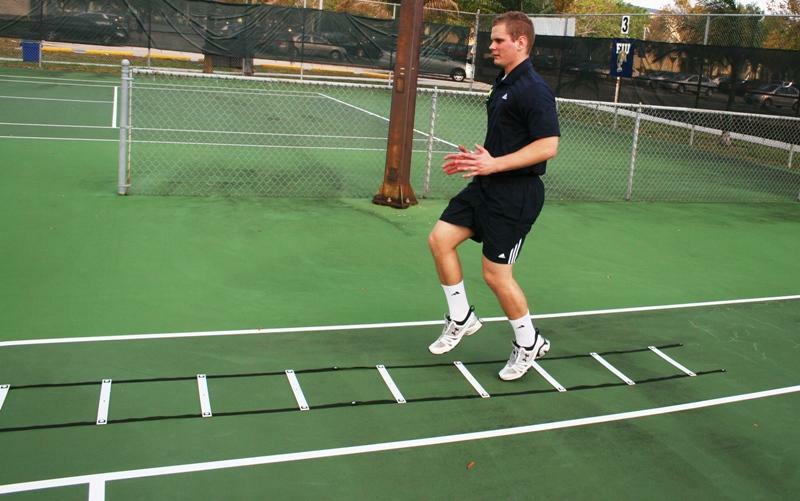 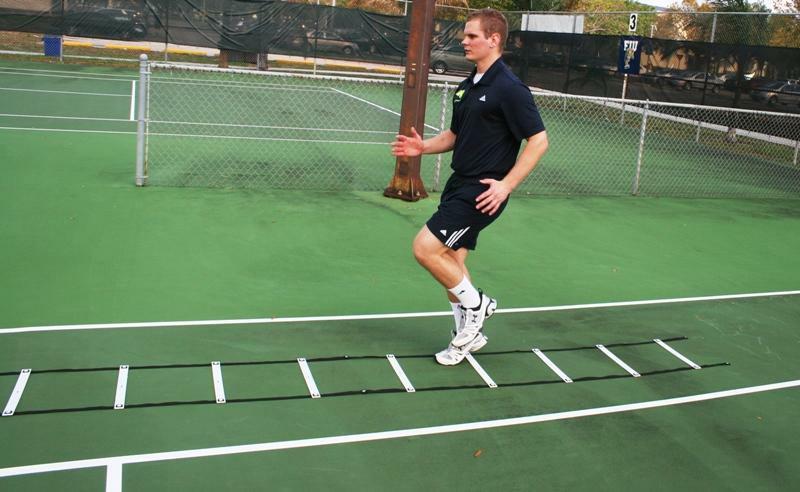 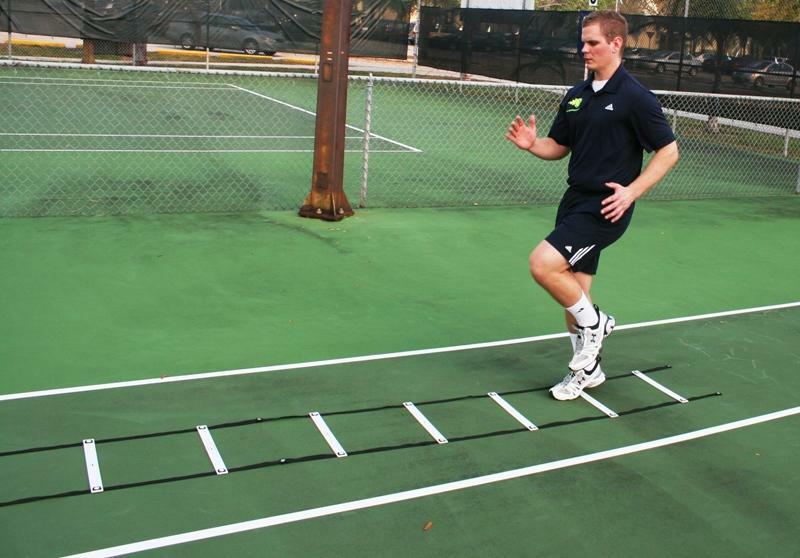 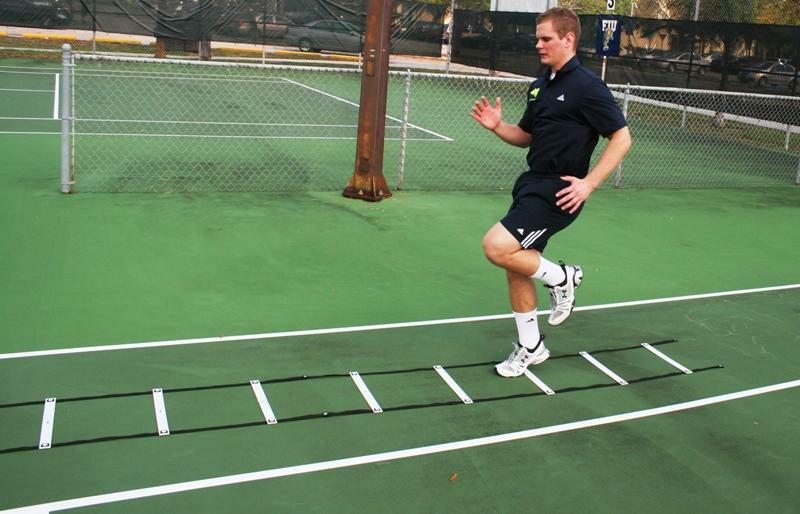 Both feet make contact with the ground in the center of each pair of rungs as the athlete progresses down the ladder.